Are you or your company based in Thailand, please make use of one of the following bank accounts for your payment. PLEASE ADD US$ 30 TO THE TOTAL AMOUNT FOR THE BANK TRANSFER FEES. Please send email to pui6767@yahoo.com as soon as you complete your bank transfer, in order to follow up the receipt of your payment. Email Us to confirm Bank Transfer received or for any assistance required. In some foreign countries, it may be easier for you to transfer funds by Western Union. You can click on www.westernunion.com to find a Western Union office in your country. When you are ready to transfer funds, you can Email Us for his Western Union office address and passport number. You must pay the cost of this transfer. Please Email Us as soon as you transfer funds by Western Union, so that we can follow up the receipt of your funds and the shipment of your order. Email Us to confirm your payment has been received or to ask questions. 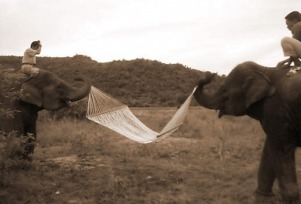 Thank you for visiting The Big Hammock company.